The measures include removing the automatic trigger currently in place for the referral of an application to a planning committee when objections are made by a town or parish council. On Tuesday at County Hall, members of the ruling Labour group on the policy board voted to recommend that these alterations should be approved by the full council at its next meeting on April 1. Coun Reid said: “I can’t see any positive comments from the parish and town council responses, including those in the south east area. Coun Allan Hepple, policy board member responsible for housing, planning and regeneration, said: “I fully endorse the recommendations. The proposals have been criticised by the Northumberland & Newcastle Society – formed to preserve the heritage of both city and county. But the council says the decision has been put forward to help ensure the authority has a first-class planning service, with local councils still having an input. Prior to Tuesday’s meeting, Coun Hepple said: “The council wants to make sure it has a first-class planning service to take the county through the 21st century. “The detailed reviews have highlighted significant issues which we must address – both to ensure sustainable growth for Northumberland, and importantly to avoid government intervention in our decision making, leading to government not local decisions on planning applications with even less say for people in Northumberland. “I believe no one wants to see that outcome. “There is no proposal to exclude town and parish councils from the planning process. “They are important consultees and will continue to play a very important role in the planning process. “They will be consulted on all planning applications within their areas, and their comments taken into account in assessing proposals. 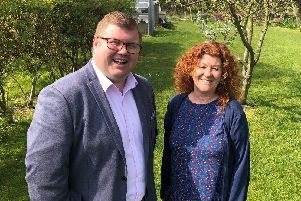 Karen Carins, chair of Stannington Parish Council, said: “Residents rely on us to work with outside bodies, on their behalves, to reach a satisfactory conclusion.